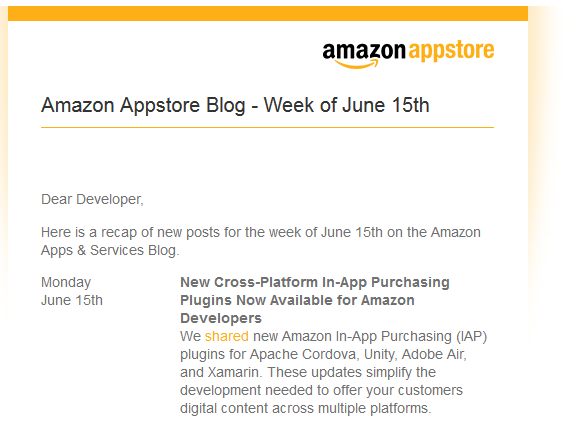 Join our community of developers and subscribe to the Amazon Developer Weekly. Signing up is easy. Click here to complete the form to subscribe by email today.